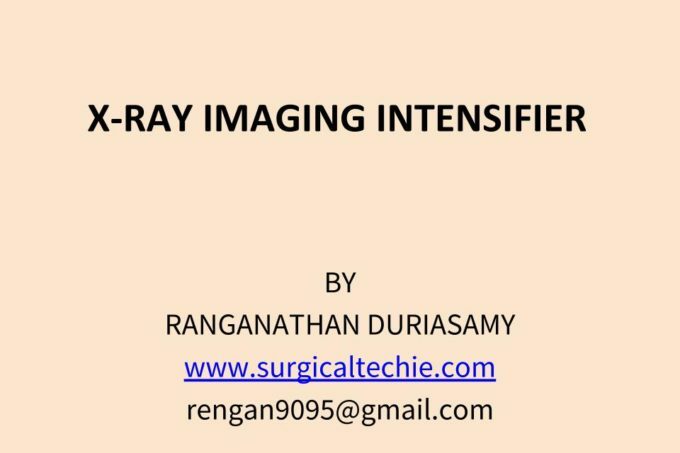 X-ray Image intensifier equipment used for the examination of the Bone and related structure like tendons etc. The X-ray intensifier penetrates through the body. The Image intensifier or detector converts the X-rays into a visible image that displayed on the C-arm monitor.